Isuzu Truck South Africa is hoping to move the trucking sector away from a predominantly male dominated sector, by shifting misconceptions, negative connotations and stigma mounting over women being inadequate to take on various roles in the business of trucking. Kas Govender, Human Resources Manager explains: “Embarking on a mission to introduce and enrol women into the business of trucking, Isuzu Truck South Africa joined forces with the Training Transport Academy to facilitate learnership and provide in-classroom training through qualified assessors.” After receiving 58 awe-inspiring applications for the learnership, only five women made the cut to the sought-after course that would see the women gain a holistic knowledge of all aspects in the business of trucking, whilst earning the recognised National Certificate: Professional Driving qualification accredited by the Transport Education and Training Authority (TETA). The Training Transport Academy opened its doors to the first female-only intake in February 2016. Six months into the course, the programme has begun to yield a new breed of truck drivers armed with extensive knowledge of not just the art of driving, but in-depth expertise on the logistics of the industry. Neziswa Dungayezi is one of the inaugural five women to be enrolled in the Isuzu Truck women in the trucking business course initiative. After witnessing a female driver (whom she only remembers as S’mangele) drive up in a truck from KwaZulu-Natal to carry out deliveries in the local Spar she worked in, Neziswa was filled with admiration that a woman could effectively and effortlessly take on a male role that until then, she had never seen any women venture into. 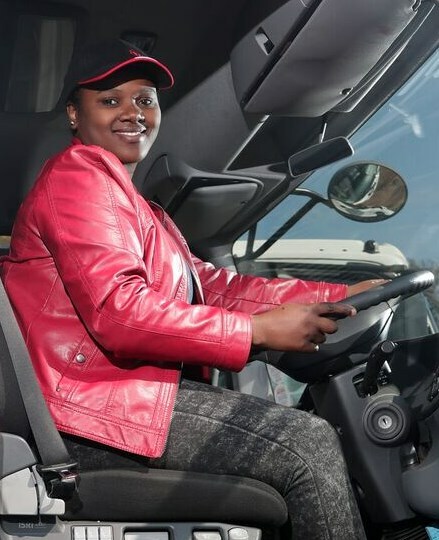 “Sadly, being in the industry was also met with a lot of resentment from our male counterparts, who concluded that taking on a career in the trucking industry was an act of defiance to men and that women only wanted to take on their jobs,” adds Nesizwa. Daphney Prens was brought up by a father who set an unshakable rule that his daughter should never take the seat behind a steering wheel. Defiant to her father’s rule and aided by a neighbour, Daphney took stolen moments to learn how to drive, earning herself a Code 10 licence. She later met an old acquaintance who encouraged her to take on the Isuzu Truck course. “I am thankful to Isuzu Trucks for opening a platform that allows women like me to take on jobs that they have always dreamt of. I’ve always wanted to drive long distances and see the rest of Africa from a truck. I do not believe that there are jobs that women are incapable of doing and are solely designed for men. I want to be the one who tears down all walls of stigma that discourage women from living their full potential,” she says. 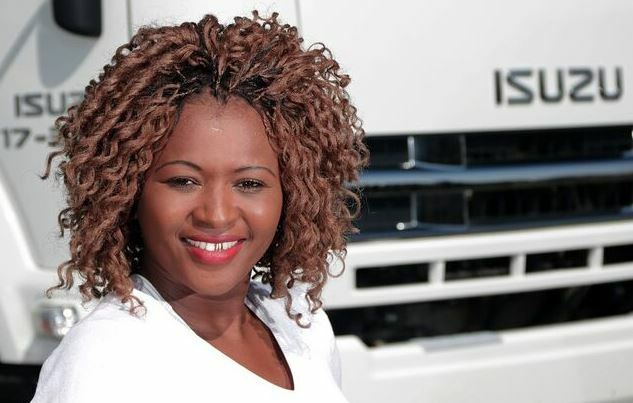 Cynthia Mali was encouraged by her husband and pursued her dream of eventually co-owning their own trucking business. He does not believe in any negative ideas associated with women driving trucks, dismissing them as preposterous. Now Cynthia boasts of the potential brighter future when she receives her National Certificate in Professional Driving at the end of the 12-month course in 2017. The Training Transport Academy is led by female CEO Nicola Scott, whose vision has always been to up-skill women in the industry. Though established in 2012, this is the first time the academy has seen a female-only enrolment. The course funded by Isuzu Trucks has also seen the women master the skill of writing business plans. “This project has been a resounding success and we look forward to the women graduating in February 2017 with a National Certificate: Professional Driving qualification. The course will benefit these women and change perceptions positively in their communities and break barriers that stop women in believing that they are worthy of contributing to society in a way men can,” says Govender. She concludes by mentioning that Isuzu Trucks will continue to invest in empowering women to take on various roles in the industry, with the ultimate goal of contributing to the economy of trucking.